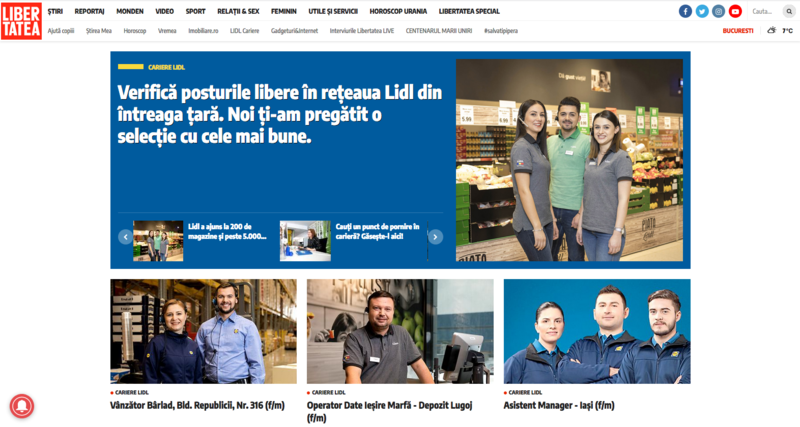 Brief: Our customer, Lidl had opened several new positions within the firm and wanted us to create a special project involving their employees and highlighting how great is to be part of the company. Customer’s main goal was to attract as many potential candidates as possible and determine them apply for these jobs. Concept: Create a trustworthy guide to job platform, showcasing a selection of the best positions available within the company. Offer useful information and communicate what are the most valuable employee benefits in order to determine readers being enthusiastic and desire to work there. Deliverables: Special section, lead generation, 10 native articles (researched, crafted), native banners, promotion.